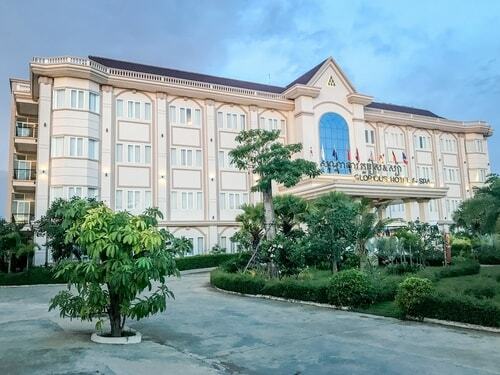 Krong Stueng Saen is not a tourist destination, so there is only one high-quality hotel, the "Glorious Hotel and Spa". 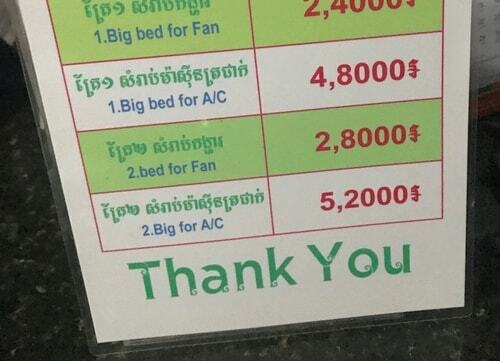 If you are on a budget, there are many cheap guesthouses in the center of town. Balanglech Village, Sangkat Domrey, Chaonkhla, Stung Sen City, Kampong Thom Province, Cambodia. National Road #6, Phum Balang Khang Lech, Sangkat Damrei Choan Khla, Krong Steung Saen, Kampong Thom 06401, Cambodia.